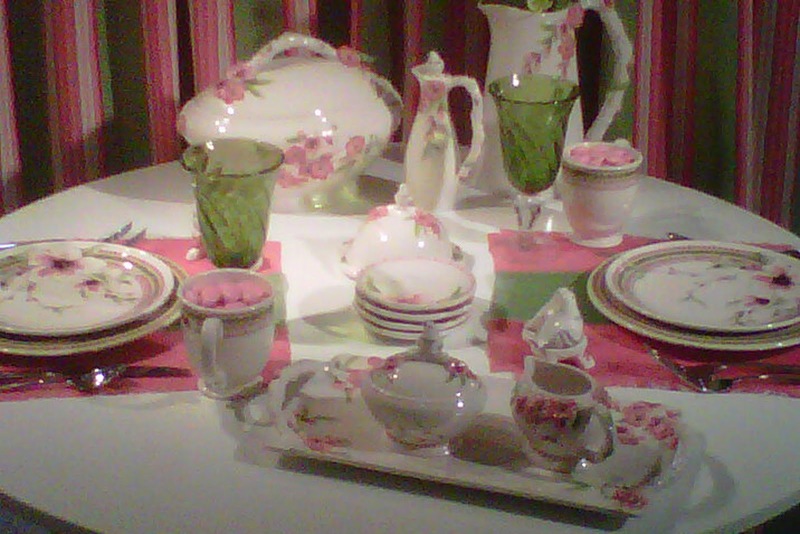 The simplicity of this very delicate, fine china sets the mood all on its own. 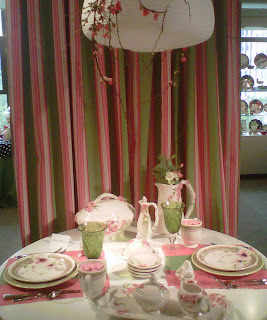 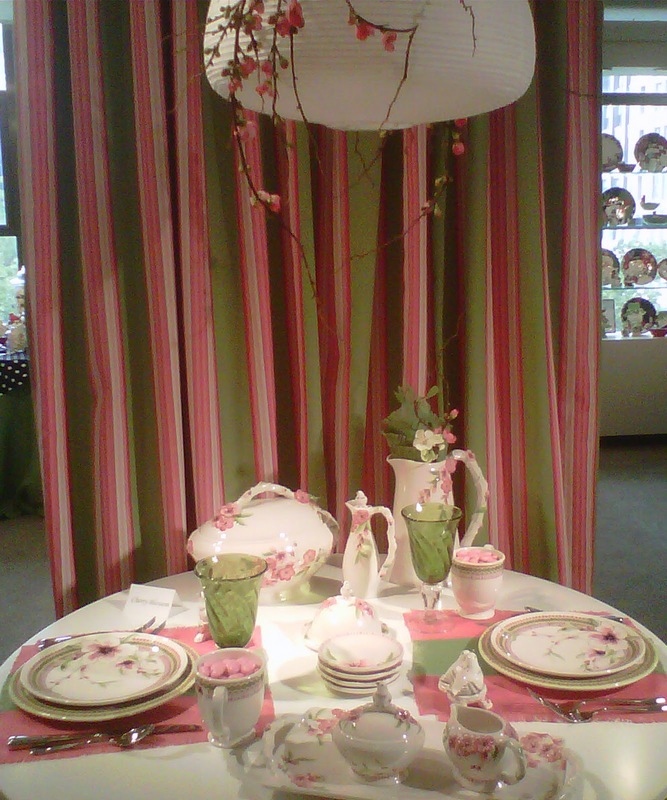 The pops of green in the dishes brought to life by the tint of the goblets creates romance and whimsy. 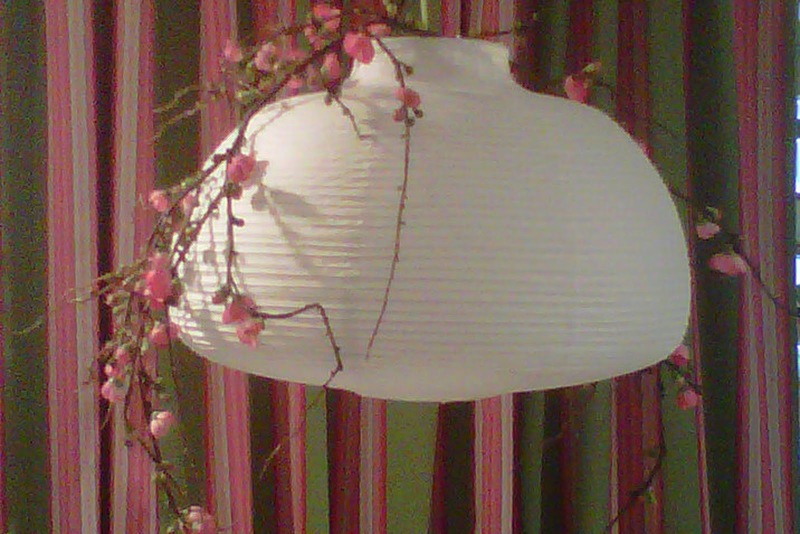 The paper shade gracefully hanging above the setting adds the perfect light and air to complete the space.